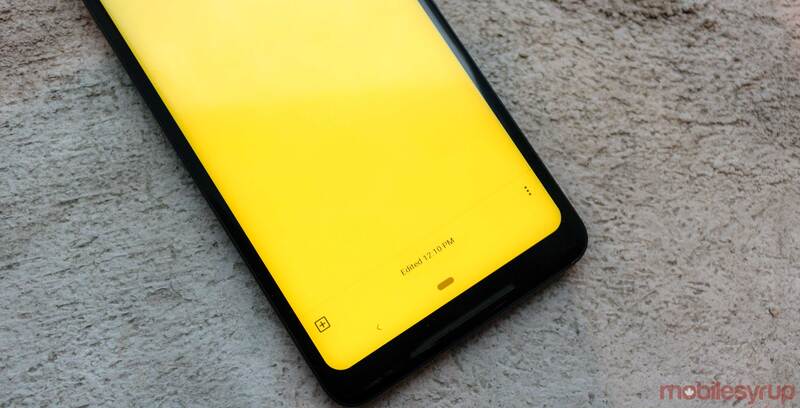 The latest Google Keep Notes update changes your Android smartphone’s navigation bar to match the specific note’s colour. While this isn’t a significant update, it gives the Keep page one uniform colour from top to bottom. However, when you begin to type again, the nav bar changes back to black. Regarding MobileSyrup’s devices, only our Pixel 2 XL features ‘version 5.0.441.03.40’of Keep Notes in the Play Store, while the Pixel 3, OnePlus 6T and Huawei Mate 20 Pro only lists ‘version 5.0.411.10.40’ as being available in Google’s app store. The update should be rolling now, however. If you don’t want to wait, you can always download APK from APK Mirror, though as always, do so at your own risk.